Flightscope: What Happens at the Moment of Impact? Technology like Flightscope can really help us see what is happening in our golf swing, which can help us understand why we continue to hit those nasty slices. In this segment of Teaching with Technology, Todd Kolb shows us why we should be hitting up on our driver to help us draw the ball, and shows us a couple of tips to help us get our club path and club face tracking in the right direction before, during and after the moment of impact. Hey golfers, PGA Teaching Professional Todd Kolb here with another segment of Teaching with Technology. And today I want to talk to you about three specific numbers that I look at when I’m doing an evaluation of a student’s golf swing. Three numbers that are going to really help me understand what’s happening at that important moment of impact. Now I’ve got my Flightscope, and I’ve got my wireless device here. So I can move around, I can always be looking at their swing while I’m also capturing some data. So what are those three things that I’m looking at? Well first of all, angle of attack—the angle that the club is traveling at the moment of impact. Second is the path—basically, for practical reasons, the direction that the club is traveling at the moment of impact. 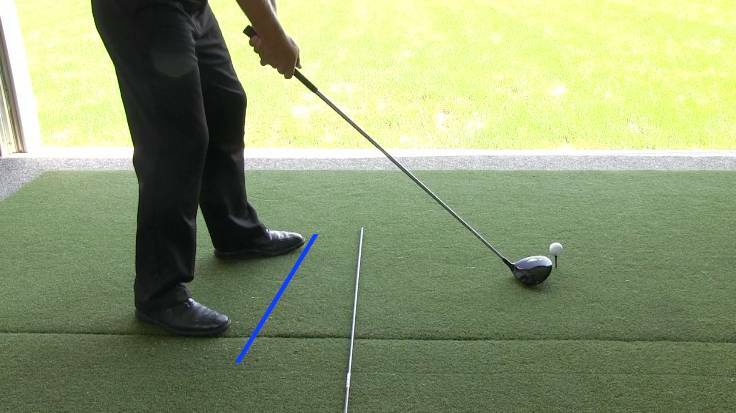 Then finally the club face—how does the club face relate to the target line at that point? So first of all, what do we want to see? Well if we want to hit a nice high draw with the driver, what we want to do is we want to hit up on the golf ball first of all. We want a positive angle of attack. Therefore, we want the club to be traveling up as it comes in contact with the golf ball. So in this particular example—I’ve got two of them here—I’ve got one where I hit up on the golf ball an angle of 5 degrees; positive 5 degrees. I have another one where I hit down on the golf ball slightly 0.7 degrees down, alright? Let’s remember that. The second thing is I want to hit a nice high draw. I think that’s the optimum shot to hit for a golfer. So how do I do that? I’ve got to have a path that’s working significantly, or at least to the right of, the target. So in this example, I had a path that was 6.3 degrees to the right. Now, if I want the ball to draw, the face has to be slightly open. But also, it has to be to the left of that path. So what was my face on that particular one? 2.2. So let’s go through that again. Path to the right 6.3, face open 2.2 degrees; a difference or separation of 4 degrees. That means that the ball is going to start to the right and it’s going to have a nice high draw. When I combine that with an angle of attack that’s positive at the moment of impact, I’m going to get maximum distance. So on that particular shot there, that ball carried 265 yards. It had a nice slight draw to it. positive angle of attack, path to the right, face also open, but not quite as far to the right as the path; a nice high draw. So what might you do to help you get those numbers working for you? Two simple tips—Number one: aim slightly to the right. When you shift your baseline and your aim slightly to the right, your natural path is going to work a little bit farther to the right. 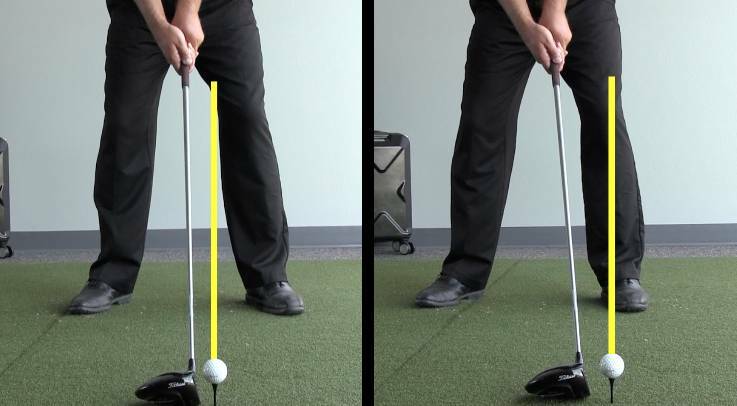 The second thing is if you want to hit up on the golf ball, simply move the ball a little bit forward. When you do those two things, you’re going to have a positive angle of attack. You’re going to have a path that’s working to the right, and you’re going to have a face that’s slightly open. And as a result, you’re going to maximize your distance. Has this advice been helpful to you? Is there anything here you disagree with? Whether you want further clarification or want to share a difference of opinion, we’d love to hear your thoughts. Drop us a line in the comments. And remember to follow us Facebook, Twitter and Instagram for more tips and videos to help improve your golf game. Our primary goal is always to help you play better golf. And for helpful video tips, subscribe to our YouTube channel!